All the dude wanted tonight was to drink a glass of wine, smoke his pipe and listen to some live jazz. Fortunately, he was successful on all fronts. 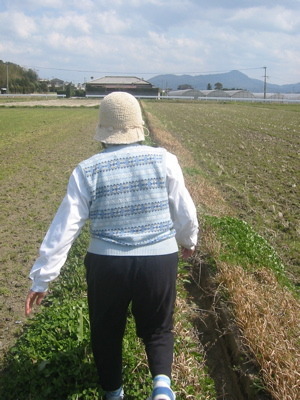 Me: (to Hagino san as we cut through the pictured field) Uh, Hagino san, is this manure?